Based on the weather, it’s hard to say what season it is. But the calendar says it’s time for our annual fall sale! … Starting today be sure to stop by the nursery for great deals on all our plants. All perennials and grasses are 50% off. All shrubs and trees are 30% off. Aronia berries in late summer. 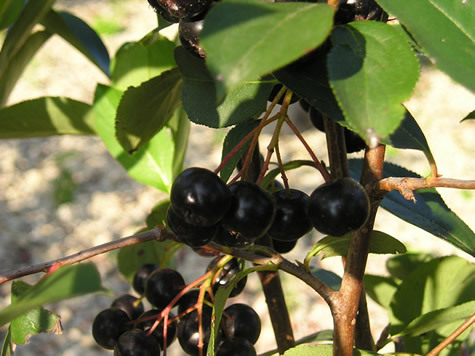 Did you know that aronia berries are edible and packed full of antioxidants? These medium-sized shrubs are native to Iowa, produce attractive white flowers in spring, and have outstanding fall color. Don’t be fooled by the common name “chokeberry.” The fruit is surprisingly sweet! Stop by the nursery to see our selection!